January 15, 2016, 3:40 p.m. In recent years the legal, and political, environment surrounding marijuana has been transformed. Four states have now fully legalized marijuana for recreational purposes and many others have either decriminalized possession or passed laws to allow medical marijuana. New York, which traditionally has had strict drug laws, has become the latest state to allow medical marijuana. Marijuana is still strictly illegal at a federal level but in general the federal government will not take action against people who are not breaking state laws or facilitating the interstate trade in marijuana. 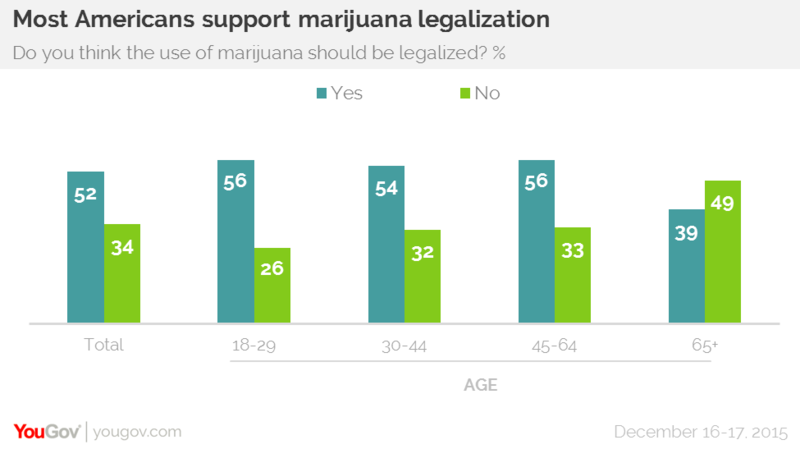 Research from YouGov shows that a majority of Americans now support legalizing marijuana. 52% of Americans now support legalization, while only 34% oppose it. 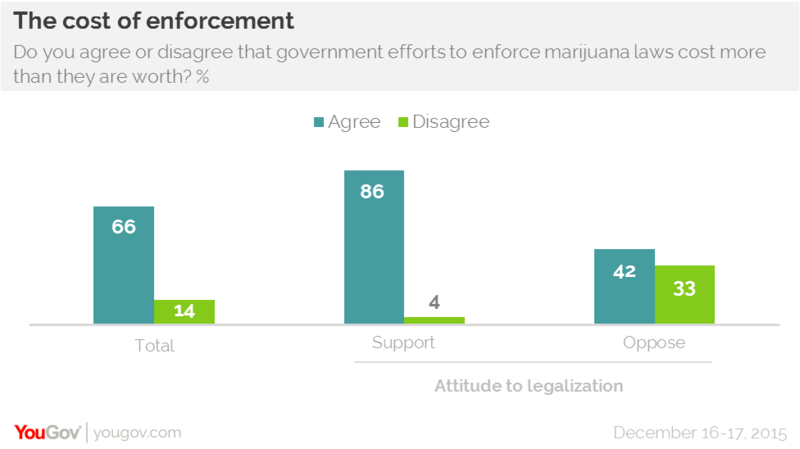 This is slightly up from 48% support for legalization when the question was last asked in March 2015. Over half of all adults under the age of 65 support it, but over-65s do tend to oppose (49%) rather than support (39%) legalization. Politically, Democrats (66%) and independents (51%) want to legalize marijuana but half of Republicans are opposed. Just over a third of Republicans (36%) do support legalization, however. While full legalization has the support of just over half of the country two-thirds of Americans believe that government efforts to enforce marijuana laws cost more than they are worth. Unsurprisingly a huge majority of people in favor of legalization (86%) say that the efforts cost more than they are worth, but even opponents of legalization narrowly tend to say that current efforts aren&apos;t worth the cost (42% to 33%). Support for legal marijuana is much higher in the US than in either the UK or Germany. 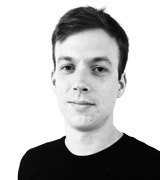 The British public opposes legalization 49% to 32%, and in Germany 45% to 39%.